Parents and carers living in the east of Berkshire can book free places at a series of autism training workshops between April and June. We are offering more Autism Seminars for Families courses and workshops about Emotional Self-Regulation at venues in Bracknell, Slough and Windsor. 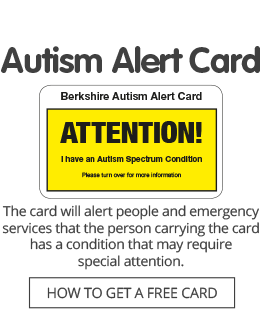 They provide information and advice for parents and carers whose children have a diagnosis of autism, or whose children are on the Berkshire CAMHS (Child and Adolescent Mental Health Service) waiting list for an autism assessment. There will also be support group meetings, offering the chance to hear from visiting speakers and to chat with other parents and carers and members of our team. Thursday, May 2: Managing Anger. Thursday, June 13: Understanding Autism. Thursday, June 27: Meeting Sensory Needs. All these workshops will run from 10am to 2.30pm. Tea and coffee will be provided but please bring a packed lunch. Click here for more details of these workshops and to register for free places online. The Support Group meetings are free of charge and there is no need to book, just come along. Windsor: Wednesday, May 8, 10am to noon, at the Youth & Community Centre. Slough: Friday, May 17, noon to 2pm, in The Gallery area at The Curve. Bracknell: Thursday, June 6, 10am to noon, at Forest Park Community Centre, in Horndean Road, Forest Park. Click here for details of the support group meetings.